It's difficult to see past huge chocolate eggs for an Easter gift. At Balloon in a Box we have a non-chocoholics option. Balloons! Guaranteed to be a huge surprise and a great success. 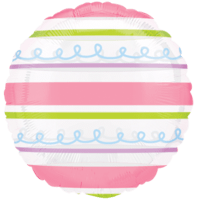 A big box of balloons would make Easter a celebration to remember and no mistake! 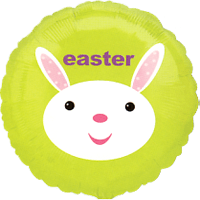 You can choose from a giant crazy bunny, a cute chick or a good egg balloon amongst others. We can make your balloon selection into a big bouquet too! Beautifully decorated by experts and delivered to your door as early as tomorrow, a balloon in a box will be a number one hit! 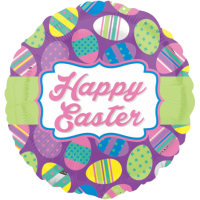 This Superb Happy Easter Eggs Balloon Gift will intrigue and thrill a lucky family member or friend! Expertly put together and blown up by our in house qualified balloon decorators! 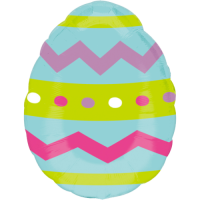 This Superb Zig Zag Easter Egg Balloon Gift will intrigue and thrill a lucky family member or friend! Expertly put together and blown up by our in house qualified balloon decorators! A brood of cute chicks swirl around this balloon and symbolises new life. 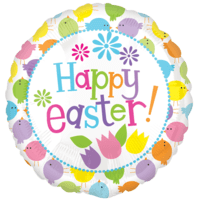 Say Happy Easter with this lively 18" helium foil balloon. Cheep cheep! 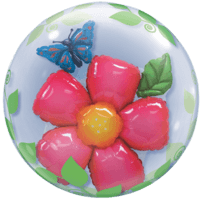 An Easter Parade of eggs dance their way up this lovely 18" Holographic Easter balloon in a box. Send your greeting with this surprise gift. 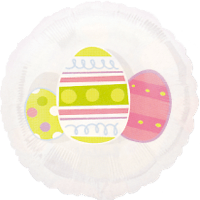 Three perfectly painted eggs decorate this Easter themed 18" clear plastic helium balloon. Pretty as a picture and as bright as a warm spring day! 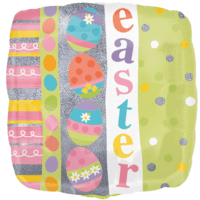 A playful and fanciful two sided 18" helium foil balloon for Easter. 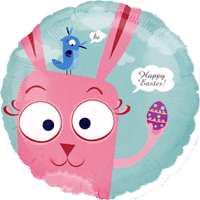 Send it to someone you're fond of, or a friend if they're a "good egg"
Fantastical crazy chicks and Easter bunnies pop up to say Happy Easter on this two sided 18" balloon in a box. 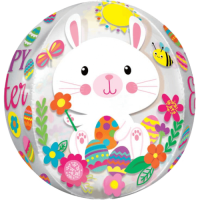 This Superb Happy Easter Bunnies Balloon Gift will intrigue and thrill a lucky family member or friend! Expertly put together and blown up by our in house qualified balloon decorators!